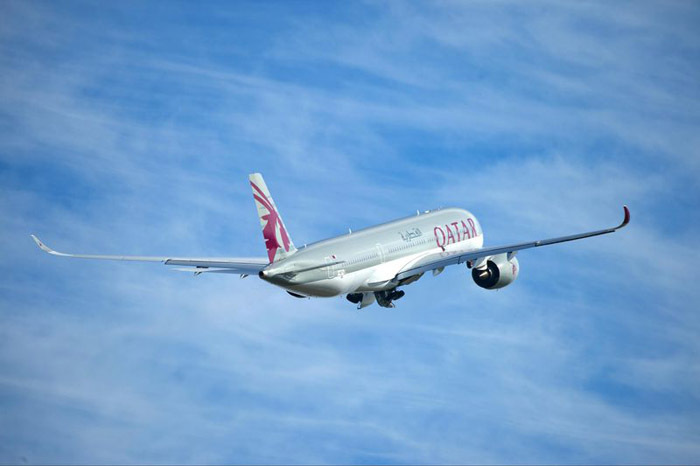 Airbus and Qatar Airways are set to open a new chapter in commercial aviation together with the official delivery of the world’s first customer A350-900 aircraft, which is planned for 13 December 2014 in Toulouse, France. Qatar Airways – the global launch customer for this highly efficient next-generation widebody jetliner type – has 80 total A350 XWB Family aircraft on order, including 43 A350-900s and 37 of the longer-fuselage A350-1000 versions. The carrier plans to commence commercial service with the A350 XWB between its Hamad International Airport hub in Doha, Qatar and Frankfurt, Germany in January. Qatar Airways Group Chief Executive, Akbar Al Baker, said: “The delivery of our first A350 XWB aircraft, as global launch customer, is a highly anticipated event in the relatively young history of Qatar Airways and the second significant fleet milestone for our airline, having recently taken delivery of our A380 aircraft. Airbus’ all-new A350 XWB incorporates the latest in aerodynamic design and advanced materials – including an airframe comprised of 53 percent composites – along with new fuel-efficient Rolls-Royce Trent XWB engines to deliver a significant reduction in fuel burn and emissions, as well as lower maintenance costs.